The Ordinary Moments | Bye Bye Dummy! We’ve finally done it…the dummy is no more! At 3.5 years old, Evie has finally given up her dummy. I honestly thought I’d never see this day, or at least not for a long time. I’m so proud of her for doing it! She had become so reliant on it and had it pretty much all the time that she was at home, only taking it out when she left the house. James was keen for her to get rid of it but I said we shouldn’t push her at the moment because she was going through a lot of change anyway with going back to preschool, and I felt like she really needed the comfort. We never had this problem with Max, we took his dummy off him one night when he was around 2.5 years and that was it, he never asked for it again. So naively I assumed it’d be just as easy with Evie. So what happened? Well, she was down to just one dummy and one night before bed she announced that she had bitten a hole in it! Que panic from me because I knew we didn’t have a spare one and thought she wouldn’t sleep without it. She did moan a bit but accepted that we weren’t going to go out and buy her a new one at that time in the evening. We promised we’d get her a new one the next day, but she got on really well that night and didn’t ask for a new one the next day so we figured we’d run with it. She’s been going around telling everyone that she’s a big girl now because she doesn’t have a dummy anymore. She’s even named the panda that she got last week ‘Dummy’ and she takes it to bed with her each night as a replacement for her real dummy! It’s now been almost a week without the dummy and apart from a few tears the first couple of nights she’s done so well, there’s definitely no going back now. I have to say I’m enjoying going into her room at night and watching her sleep, without that bloody dummy in her mouth! 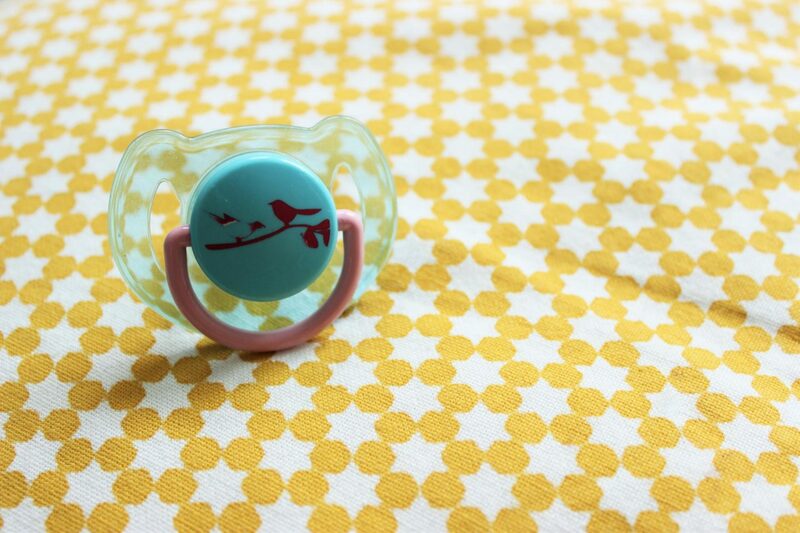 Did your little one have a dummy? How did you get rid of it? 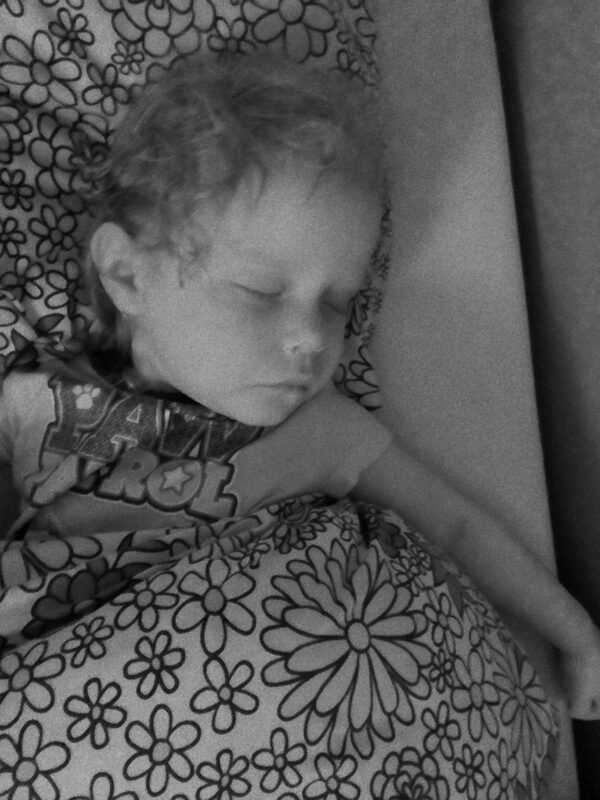 I must say we were pretty lucky with both our girls, Ashleigh the eldest stood in her cot, holding onto the side, and literally tossed her tummy to the other side of the room, so that was before she was a year as she went into a normal bed at a year. I just said, oh dear, dummy is gone, and that was it, she was not phased. Samantha also bit into her dummy, but she was no problem as she just wanted to be big like her sister, so she was happy to part with hers. Oh well done Evie! My three have never had dummies so it’s not something I’ve had to take away but two of them are still sucking their thumbs so we’ll have to see when they grow out of that! Aww well done – it can be such hard work and well done to Evie too. We live in hope. Our eldest boy is two and a half and dummy obsessed. Has five or more at bedtime and pounces on any he sees during the day; now constantly stealing them from his new baby brother. We’ve tried the big boys don’t have dummies chat, hiding and refusing to give them but the battle is lost. His brother doesn’t seem as bothered so we plan to get rid of his before he turns one and at that point there will be no dummies in the house so the toddler will have to go cold turkey. It might seem wrong to use that phrase but it really is an addiction! Hooray! My baby has a dummy, and I really like it – my eldest sucked his thumb so I was keen to give the baby a dummy. No idea how we’ll get rid of it though! Well done lovely! It’s hard isn’t they become so reliant on them!! 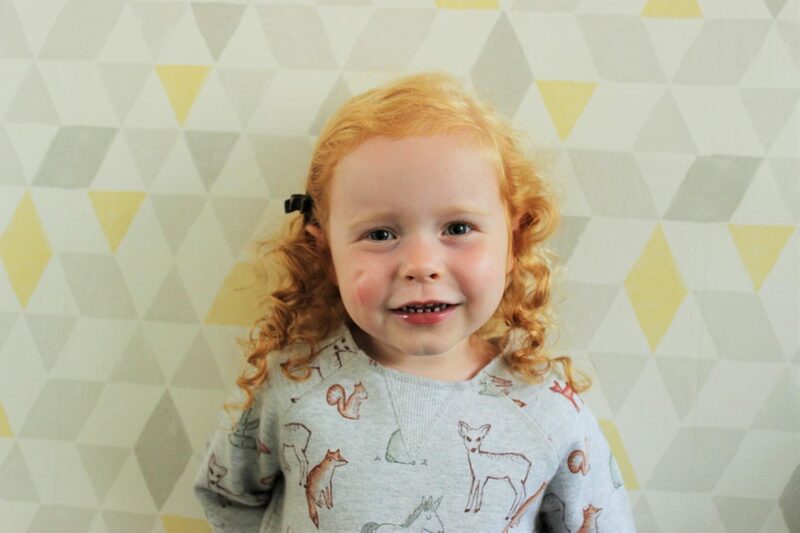 We got rid of Harri’s about 8 months ago and it was surprisingly easy so we were very lucky!